In Florida, laws exist creating temporary ownership of a decedent’s property in an estate. An estate is legally a separate entity, and is administered by a Court-appointed personal representative. At the exact moment of death, legal ownership instantly moves from the person who has passed away to their “estate.” Everything titled in the decedent’s name goes into the estate; this can include a home, cars, jewelry, antiques, guns, heirlooms, bank accounts, securities, etc. Overseeing the administration of the estate is the personal representative. Under the Florida Probate Code, the P.R. has many duties and tasks to perform (for more, see our earlier post), including paying valid debts of the estate, before the assets can be distributed to the beneficiaries. It’s an important job, and it comes with lots of responsibility and sometimes power. One of the things that a personal representative in Florida has the authority to do is to control all the estate’s property. The personal representative collects all the estate property and files an inventory of all assets, liquid and illiquid. This means they have the legal right to collect estate assets from the possession of anyone else. If there is cash or jewelry in a safe deposit box, the personal representative can go and get it. If there is a car loaned to a friend, the personal representative can demand its return. Insurance policies, credit card bills, all of these issues and more will have to be sorted by the personal representative over the course of the estate’s administration. Once the personal representative has possession and control over all the estate property, and an inventory has been filed, decisions may have to be made on selling some or all of the property. Under the Florida Probate Code, and usually within the terms of the decedent’s Last Will and Testament, the personal representative will have the right to sell estate assets if a sale is needed for continued administration of the estate, such as to acquire money to pay debts. This means that the personal representative has the power to sell assets; it doesn’t matter that the heir or beneficiary may expect to inherit those specific assets, unless a specific devise was made in the Will. Jewelry, artwork, even cars or houses can be sold by the personal representative — no matter how much the heir wants to have that piece, or how much sentimental value or family tradition comes with the property. Sometimes the personal representative will need to go to the probate court and get the probate judge to okay the sale. In other cases, the Will may provide the personal representative with the discretionary power to sell assets as he or she deems necessary. The Will can give the power to sell assets with no need for court approval. Still, there are limits on the sale of estate assets by the personal representative. Whenever the personal representative decides to sell estate assets, the sale needs to be clearly supported as being (1) in the best interests of the estate, and (2) for the benefit of persons interested in the estate. This can include creditors, where the personal representative has to sell estate assets in order to get cash to pay things like mortgage payments or estate taxes. If an asset is sold and it cannot be supported, then the personal representative may be liable to the heirs for a breach of duty. In the probate case of In re Estate of Smith, 200 So. 2d 547 (Fla. Dist. Ct. App. 1967), Robert Smith died in Lake County, Florida, and his Will was presented for probate there. The judge approved its admission to probate. Under the Smith will, the personal representative could sell estate property without going to court for an okay. So she did. Three days after the Florida probate judge approved June Creighton as personal representative of Mr. Smith’s estate, she conveyed the only piece of real estate that Mr. Smith had owned to Hazel Johnson of Elyria, Ohio. Dorothy and Alice sued June Creighton over the sale to Hazel: they argued that the sale was improper and they wanted the court to void it. They won. Upon reviewing what the personal representative had done in the sale of the estate asset, the court reviewed the property held within the estate upon the passing of Robert Smith. After an accounting was performed, it was determined that the estate had lots of cash in checking accounts, savings accounts, and bonds, as well as jewelry, furniture, and furnishings. There was no need to sell the real estate to pay debts. June sold the place to Hazel without a financial need to do so. While the Last Will and Testament of Robert Smith did give the personal representative the right to sell property without court approval, the reviewing court also read the document with limitations. The will did not state she had unlimited power to sell things. This, combined with a lack of any financial need to sell the land, meant that her decision to sell the real estate rather than allowing it to be transfered to the beneficiaries of the estate was wrong. She had exceeded her power as personal representative of the estate in the sale. 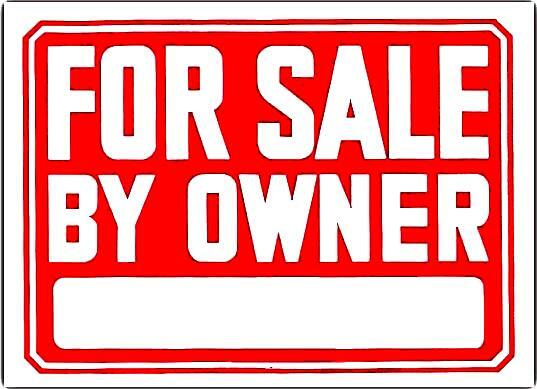 Do You Question the Sale of Assets in a Florida Estate? If you suspect that assets have or may be sold which you stand to inherit, then you may want to seek the counsel of an experienced Florida probate lawyer to determine whether or not the sale can take place, and what to do about it should the property be sold. Personal representatives do have the power to sell estate assets, but this power is not absolute. A review of the will language together with the provisions of the Florida Probate Code can help you decide what action, if any, you need to take. For more information check out our probate litigation page.